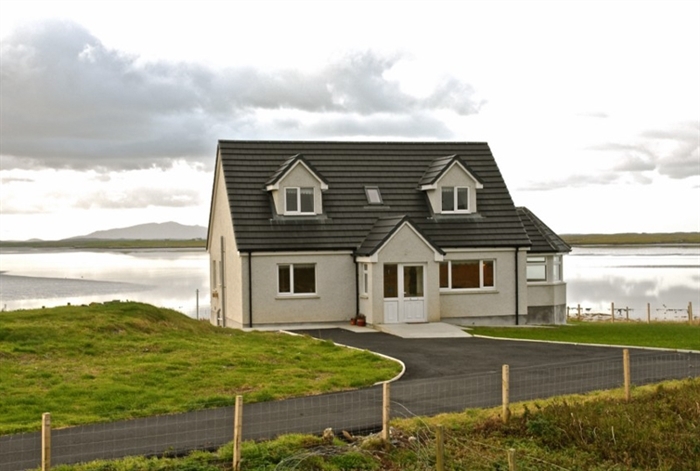 An Airigh is a new build 4 bedroom dwelling house situated in the township of Claddach Kirkibost on the island of North Uist in the Outer Hebrides. 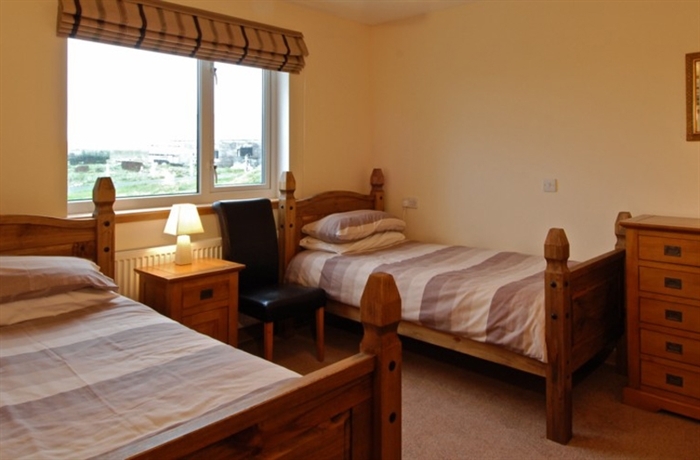 It has recently been awarded the VisitScotland 5-star grading for self catering. The house is situated very close to the shoreline of a tidal area of the island - at low tide a vast area of sandy beach is adjacent. The property consists of 4 bedrooms sleeping a maximum of 7, 4 bathroom/shower, lounge, utility room ,Kitchen, dining room and conservatory - a raised garden decking area at conservatory door level. One double room and the single room upstairs are en-suite.The other double room has sole access to the main bathroom at night. The shower room /toilet downstairs becomes the en-suite for the twin bedroom at night. 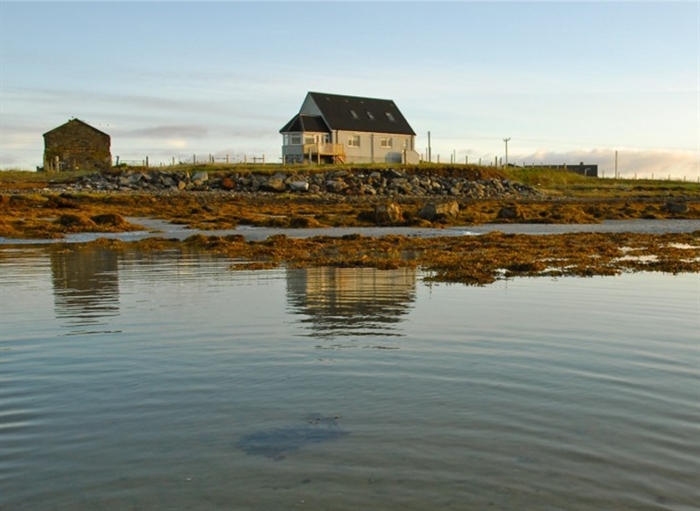 North Uist is renowned for its fresh and sea loch fishing particularly for brown trout sea trout and salmon. 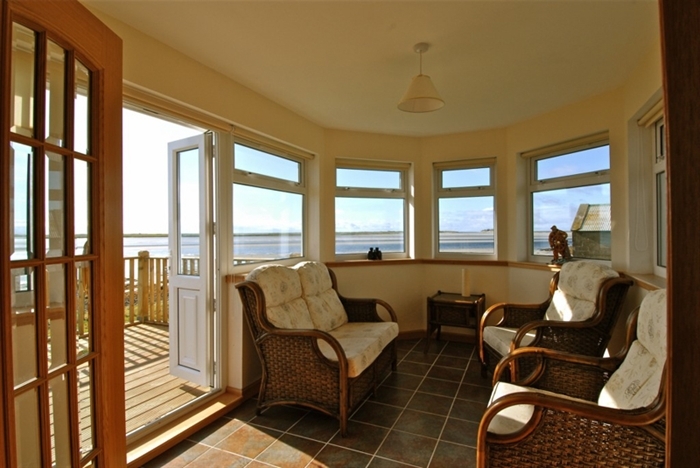 It is also a haven for bird watchers with the RSPB reserve at Balranald only a few miles away. The open and relatively flat landscape makes it ideal for walkers and cyclists. Shopping for provisions is straight forward and there are a number of hotels and pubs throughout the Uists And Benbecula for pub lunches and evening meals. As the area is tidal a tidal clock is installed in the house to give precise indication of high and low tides. While the area is safe young children should always be supervised when on the sands as they may not be aware of tidal comings and goings.